Happy Friday everyone. As we do each and every delicious week, we are taking the time to look back at the past seven day’s stories, and tag a few that were our favorites. Given the amount of news that has traversed across our newswires, we have to be summary. This means that if you want the full dose, and who wouldn’t, the archives are just the place for you. Now, ensure that you are following your friendly, local TNW Microsoft on Facebook, and Twitter, and let’s dig into the news. 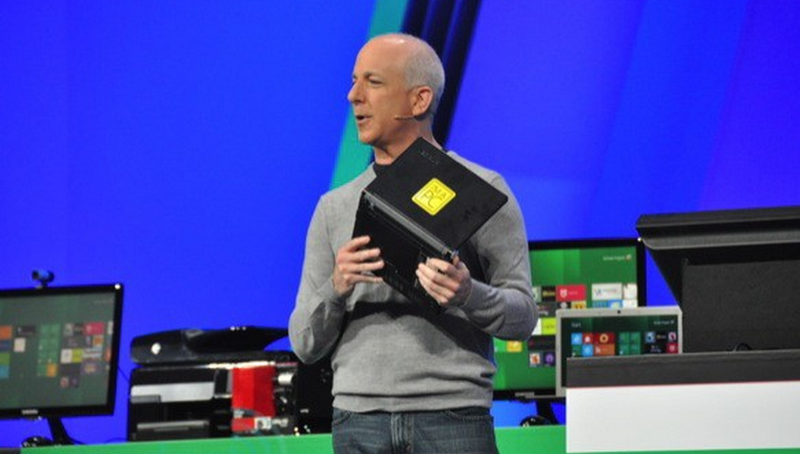 This time next year you will be able to get your hands on a Windows 8 tablet, it is quite likely. ASUS was the third company to tip the timeframe for the delivery of Windows 8 hardware, and so, with three indications, now feel quite comfortable with the date. So yes indeed, my friends, next year is the year of Windows 8. That means we will end up with Windows 8, Windows Phone 8, and a new Xbox next year. It’s not been a good week for the Internet Explorer team, as their product slipped below 50% global market share. Ouch. It once enjoyed market share on par with Windows, but Internet Explorer is certainly having a tough decade. Strides have been made to improve the IE product, but Chrome is putting new level of stress onto the Microsoft browser. In a fun, and funny turn of events, iOS 5 has provided Hotmail with a simply massive boost. Changes in iOS 5 made it simpler than before to integrate a Hotmail account with an iPhone or iPad, and that has led to an explosion of use. According to Microsoft, over 100,000 people are linking their Hotmail accounts to iOS 5 devices daily. Several million have done so already. It’s easy to forget, but Hotmail remains the leading webmail provider in terms of unique users, 360 million, even if it is not the best webmail product. Still, you can imagine how happy the Hotmail team must have been to have received such a lovely free gift from Cupertino. Why are we saying T-Mobile? Reporting by WPCentral has the information: “[the device soared] through the United States FCC sporting the T-Mobile-unique 3G 1700 band (as well as 850 and 1900 ones).” So unless Nokia is being super secretive by running through the FCC with fasle flags in the air, this bad boy is coming to T-Mobile. Right, so should you care? Probably. That Nokia is prepared to bring one of its handsets to this market almost contradicts the firm’s party line, that its phones would not be making the jump across the pond until 2012. This could be changing. We would have preferred to see the Lumia 800, the higher-end of Nokia’s line of phones, signal its arrival, but the gift horse has perfect teeth. That’s all for this week folks, now go and have some fun, fun, fun.